If you're looking for a last minute gift for a thoughtful person in your life, here's one option to consider. 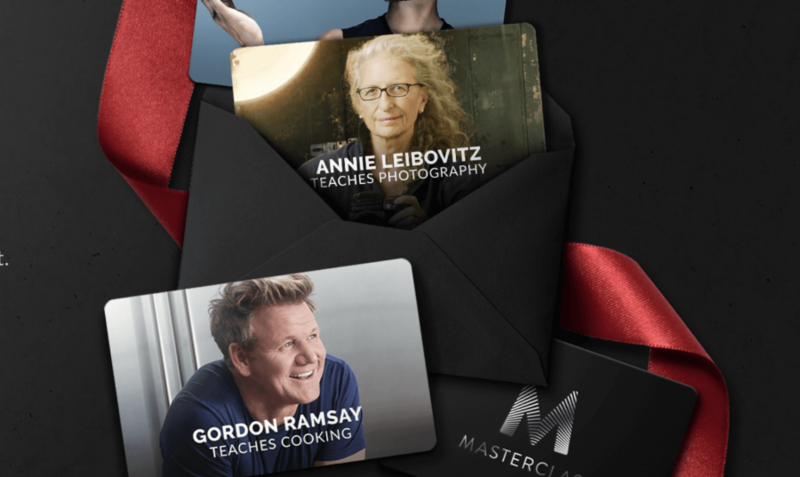 MasterClass lets you electronically purchase online courses and give them as gifts to family members and friends. For $90, you could give the gift of a single course. (The recipient gets to choose which particular course they want to take.) Or, for $180, you can give the recipient a year-long pass to every course in the MasterClass catalogue. You can get started with the gift-giving process here. And find a list of available courses below.